Mykonos is a single island complex along with Delos, rinia and some islets. 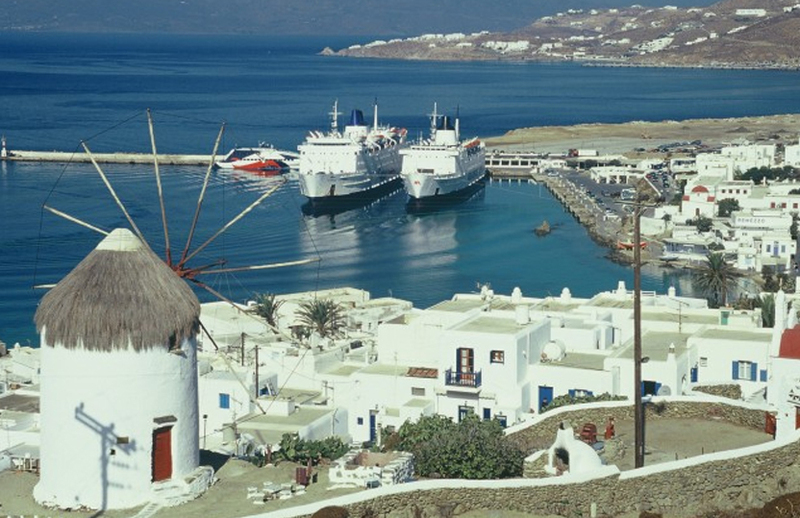 Mykonos is steadily from the 1950s onwards, one of the most popular tourist islands in the Mediterranean. The country, as commonly called the town of Mykonos, impresses and fascinates visitors from the first moment, thanks to the Nice location, scale and architecture. Despite the great tourist development of the island manages to maintain as any other cycladic character of many of the traditional elements. When someone reached the island by sea and especially with Iighspeed will anchor the new port of Mykonos in the region of tourlos. When you reach the new port should get a phone for a taxi by calling 2289023700 or climb on the bus that will take you to the old port of Mykonos in the city. If you have booked hotel you can inquire about your transfer hotelier. Almost all Mykonos Hotels have bus for these needs. For information on arrivals and departures you can contact the port of Mykonos 22890-22218 phone. daily departures all year for the port of Piraeus and Rafina. Also daily connections with almost all the Cyclades and Crete. There is a coastal link and the islands of the northern Aegean and Samos. The ferry companies approaching the port of Mykonos and have started from the port of Rafina is the Golden Star Ferries Superferry II ship, the Fast Ferries ships Theologos p and Catherine p and Sea Jet with high-speed. The ferry companies approaching the port of Mykonos and have started from the port of Piraeus is the Blue Star Ferries, Hellenic Seaways and Aegean Speed Lines. Air Champion24 .com offers ferries to and from Myconos on all services performed from any port of Greece. You can easily search and choose your ferry route that it serves, easily and instantly. The booking takes place in real time using your credit card or by making a booking with the help of the staff of our Office.